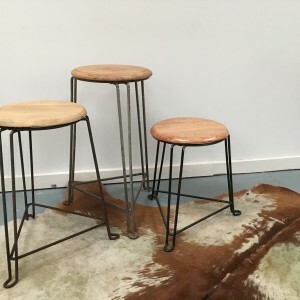 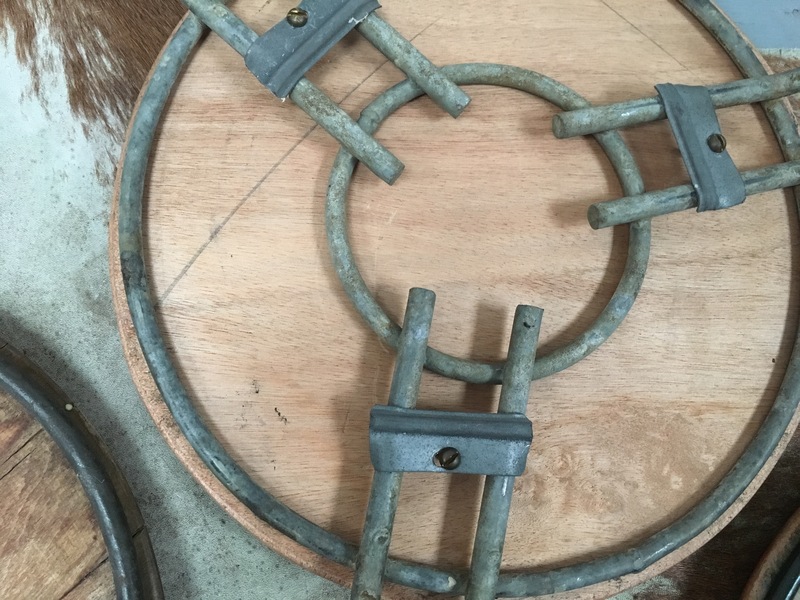 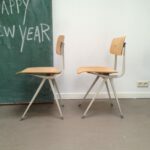 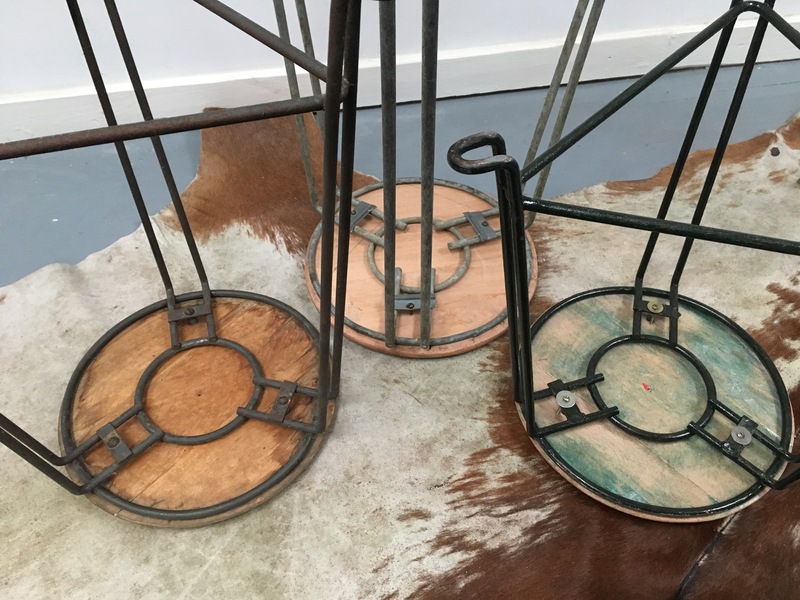 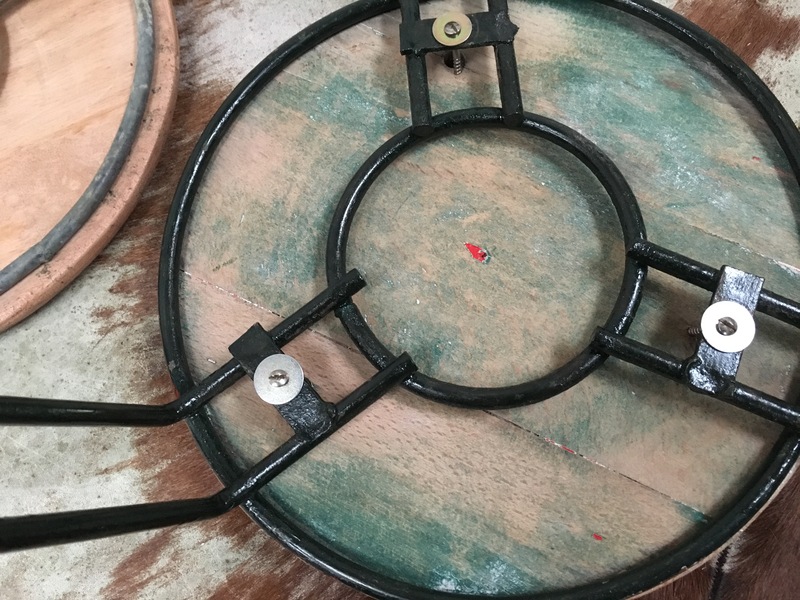 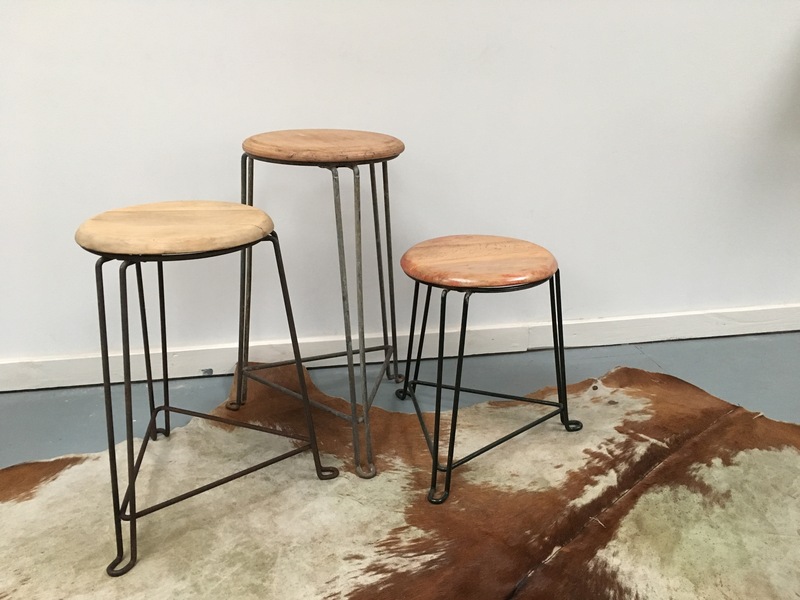 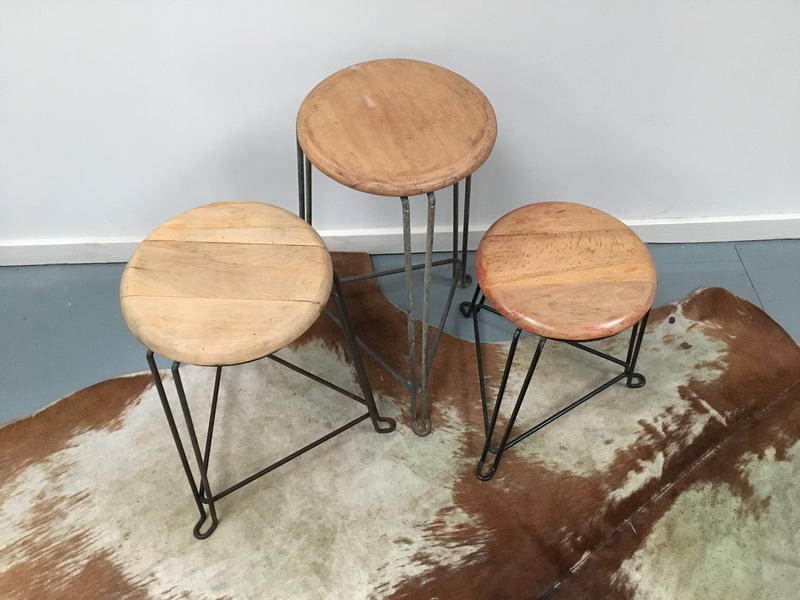 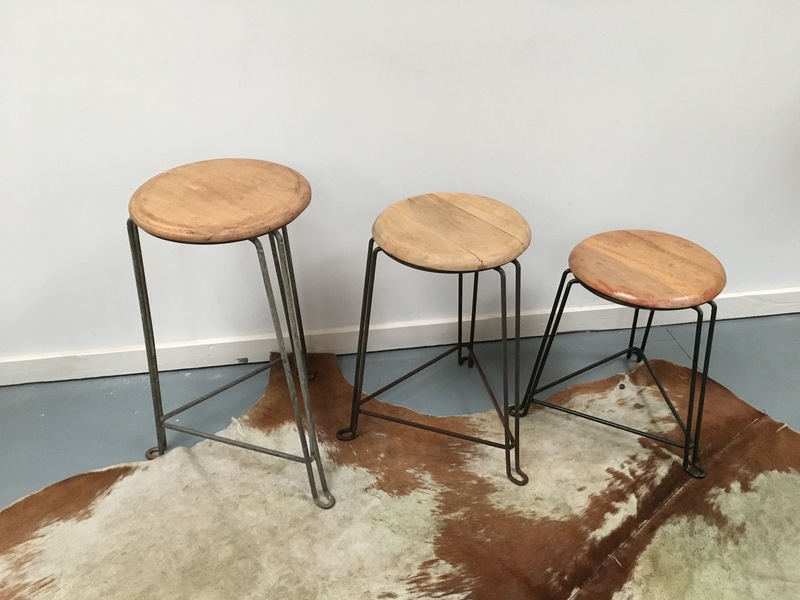 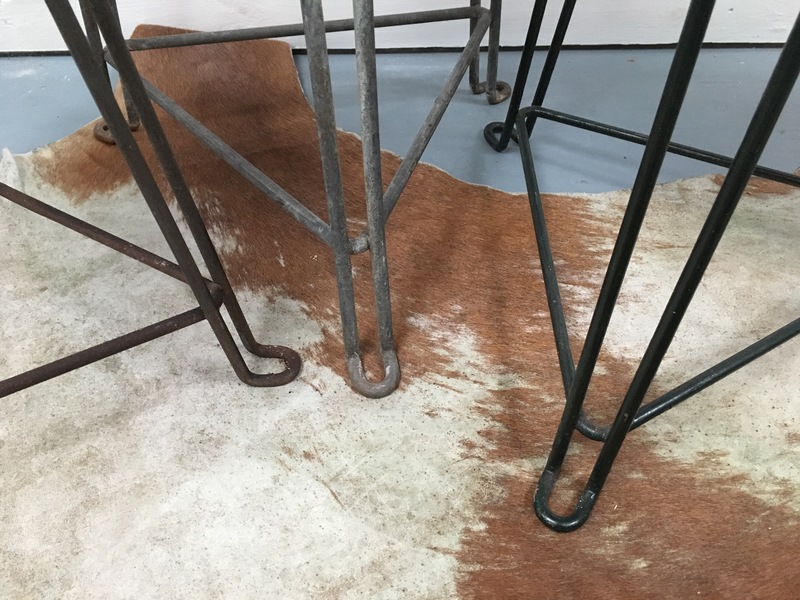 Nice and rare set of 3 Industrial Stools. 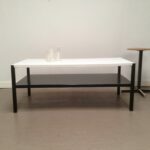 Designer Jan van der Togt. 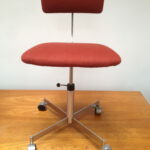 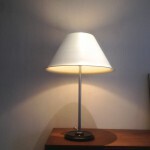 In good but used condition, on has a new wooden seat on it.